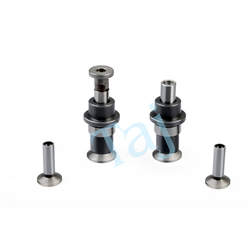 Leading Manufacturer of valve tappet, lube oil pump, fulcrum pin, extension shaft, valve cup collet and engine valve tappet from Rajkot. With innovation in our forte, we have managed to manufacture and supply a fine quality range of Valve Tappet. An important agriculture engine spare part, it is widely used and thus, availed by firms engaged in working with agricultural machines. We have been manufacturing the valve tappet for diesel engines. Our offered array includes lister engine valve tappet, petter engine valve tappet and many more. Our high-end manufacturing machines and team of experts enable us in manufacturing quality assured product range. 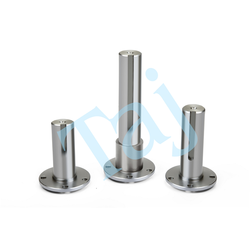 In order to meet the customized and quality requirements of the customers, we manufacture and supply a wide spectrum of Flange Shaft. 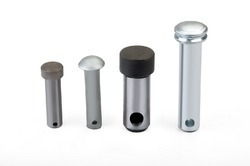 Our offered range includes petter full open fulcrum pin, half open fulcrum pin, close fulcrum pin and other types. 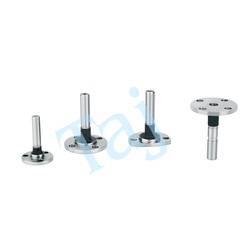 Clients an avail from our wide range of fulcrum pin depending on their specific requirement. Finest grade material is used in making the products that ensure their error free functioning. Our organization holds years of experience in manufacturing and supplying a superior grade array of diesel engine spare parts that include finest quality Extension Shaft. A number of firms making use of diesel engines avail the extension shafts from us so as to have better functioning of their machines. Having sound infrastructure facility we manage to meet customized requirements of the clients within the stipulated time period that too without compromising on the quality. 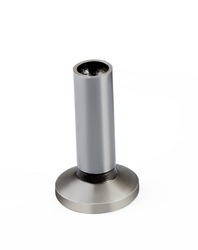 We are one of the noted names involved in the business of manufacturing qualitative Valve Cup Collet. 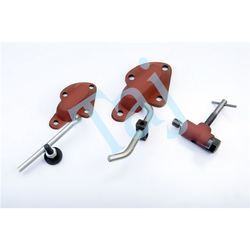 These spare parts are widely used in various types of engines thus, enhancing their working efficiency. Our expert team members make use of best grade material in the manufacturing process of these products. Moreover, proper quality checking is also carried out prior making the final delivery at the customers’ end. Availability of cup collets in varied specifications makes us one of the preferred names in the market. We are manufacturer of Valve Tappets For Lister engine, Petter and 3.5 hp Engines. Also manufactured as per requirement. 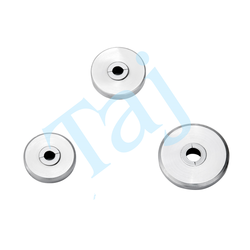 Holding excellence in the business operations, we have been able to manufacture Rotavator Spare Parts. With the support of our team of expert professionals, we have been able to undertake all the business operations in an efficient manner without causing any delays. Further, to meet varied needs of industrial customers, we have been manufacturing a wide gamut of rotavator parts that include dumper spring rod, trailing board bush, handle, trailing board hook and pivot pins. We are manufacturer of Diesel engine parts. 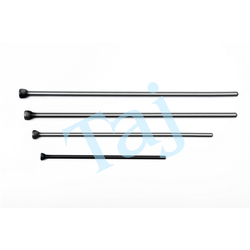 Being a quality centric firm, we aim to manufacture and supply best-in-class Push Rod in compliance with the international standards. Push rods are have spring and thus are a prominent option for replacing bent without having to pull the head off. 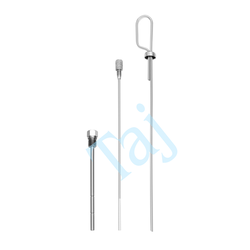 Meeting the diverse requirements of the clients, we have been manufacturing lister push rod, petter push rod and various other types. Customers can avail our offerings at reasonable prices. Looking for Oil Engine Spare ?